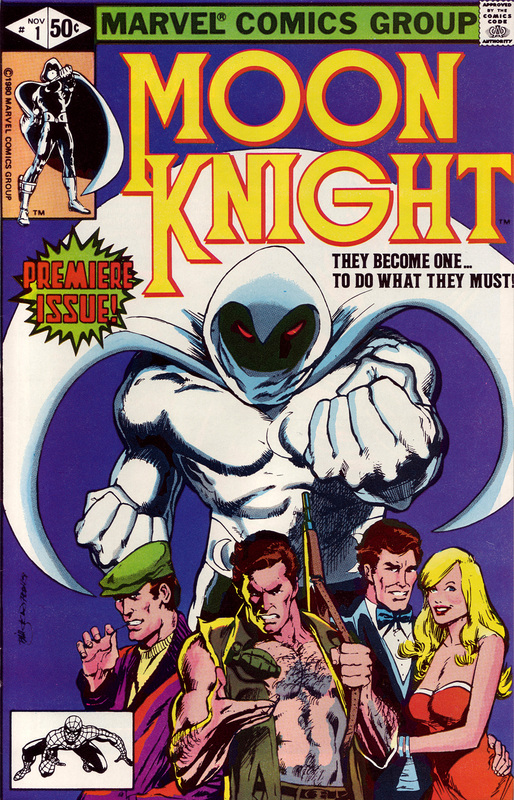 Bill Sienkiewicz on the first issue of the original Moon Knight series! What a great cover. The moon shape of his cape & the 3 other aspects of his personality along with Marlene make for a dazzling image. It’s an interesting cover. It just doesn’t really quite grab me.